James Swain is the national bestselling author of more than twenty mystery novels and has worked as a magazine editor, a screenwriter, and a novelist. His books have been trans¬lated into a dozen languages and have been selected as Mysteries of the Year by Publishers Weekly and Kirkus Reviews. 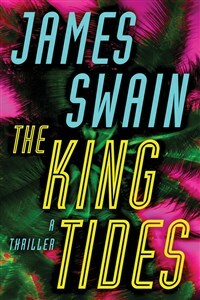 The author of The King Tides, the first novel in the Lancaster & Daniels series, Swain has been nominated for three Barry Awards, has received a Florida Book Award for fiction, and was awarded France’s prestigious Prix Calibre .38 for Best American Crime Writing. When he isn’t writing, he enjoys performing close-up magic. Visit him at www.jamesswain.com.